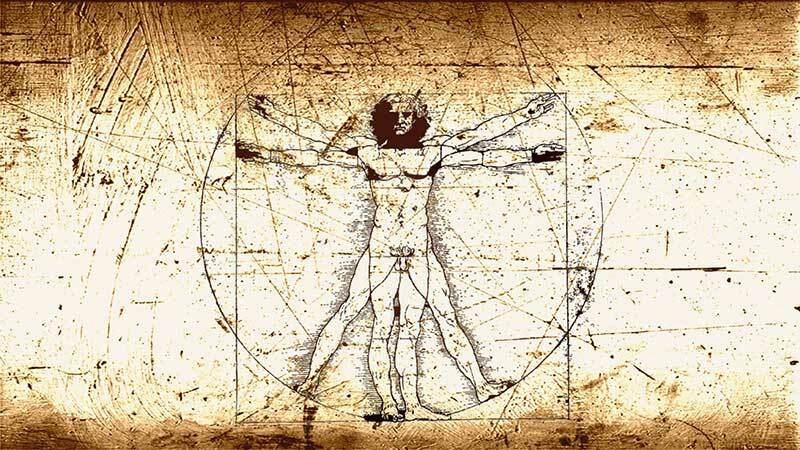 Respecting the ancient anatomical origins from Galen, Vesalius to Henry Gray, Yoga Anatomy looks outside the box of traditional anatomical modern medicine of biomechanics, bones and levers and brings a greater understanding of movement and fascia to the therapist, teacher, body worker and practitioner. Fascia is primarily made up of densely packed collagen fibers that comprise an integrated system of sheets, chords and bags that permeate the human body in its entirety. This three dimensional fascial web is jam packed with mechanoreceptors and essentially forms a ‘global’ sensory organ which richly communicates where we are in space, what our bodies are doing and most importantly, how they are doing it. Fascia is elastic in nature and exhibits this quality even more so when in good condition facilitating connected and fluid movement. It responds to the continuous force of gravity around which it organizes bodily structure and function; if you can imagine wearing an elasticated wet-suit that permeates your body entirely, adapted and yet ever adaptive to how you most commonly use your body then this may give you some idea of this incredible stuff. Although most of us are not aware of it, to extend out a limb results in a corresponding stretch across the whole fascial ‘body-suit’ priming the body to recoil in one elastic and fluid motion. Whether we run, jump, walk or do Tai Chi a large part of the energy of that movement comes from the elastic recoil and spring-like properties of fascia. We aim to understand the relationship between structures, rather than structures themselves, and heighten awareness of the importance of connections. As Newton’s law states: “Every action has an equal and opposite reaction”. Incredibly, it has been discovered that the fascia of humans has a similar kinetic storage capacity to that of Kangaroos! Fascia has long been ignored until recent years being seen only as a kind of unimportant bulking agent of the body. However, anyone deeply engaged with any kind of movement practice who has developed the above-average level of body-awareness necessary to do so is likely to agree that the usually favored isolated muscle presentation as the be all and end all of movement anatomy leaves much to be desired. A favorite of mine is Ido Rolf. 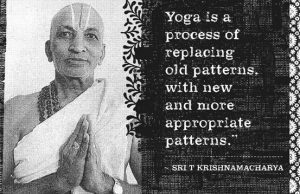 It is very curious that even in the typically touted holistic practice of Yoga most practitioners seem bent on achieving controlled aesthetics. Static stretching actually sedates the nervous system. Most postures have no relation to good biomechanics or whole-body movement and are counter productive to the development of a resilient, elastic body structure that is vital for optimal movement. Traditional Chinese medicine has always held the thought about inner body connections particularly with the meridian lines, interlinking emotions and organs. 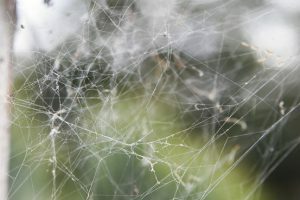 The human body moves and functions as a single unit, so well illustrated by Research into fascia and biotensegrity, has in fact been well known by Tai Chi players for hundreds, if not thousands, of years. Tai Chi training principles are based not upon intellectual theory but a long history of direct experience gained through highly perceptive movement research, acute empirical observation of natural phenomena (such as the laws of physics) at both micro and macro levels and rigorous proof testing through application (self-defense/fighting). Fascia is primarily made up of densely packed collagen fibers that comprise an integrated system of sheets, chords and bags that permeate the human body in its entirety. This three dimensional fascial web is jam packed with mechanoreceptors and essentially forms a ‘global’ sensory organ which richly communicates where we are in space, what our bodies are doing and most importantly, how they are doing it. Fascia is elastic in nature and exhibits this quality even more so when in good condition facilitating connected and fluid movement. It responds to the continuous force of gravity around which it organizes bodily structure and function; if you can imagine wearing an elasticated wet-suit that permeates your body entirely, adapted and yet ever adaptive to how you most commonly use your body then this may give you some idea of this incredible stuff. Although most of us are not aware of it, to extend out a limb results in a corresponding stretch across the whole fascial ‘body-suit’ priming the body to recoil in one elastic and fluid motion. Whether we run, jump, walk or do Tai Chi a large part of the energy of that movement comes from the elastic recoil and spring-like properties of fascia. A body that exhibited tensegrity in an optimal way would be tension ally balanced in all directions under the reliable and constant pressure of gravity. “When there is up, there should also be down, When there is forwards, there should also be backwards. When there is left, there should also be right. When there is opening, there should also be closing”. 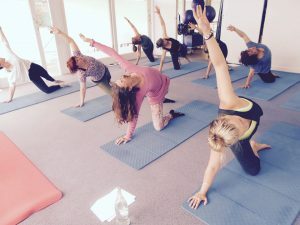 Yoga Anatomy is suitable for yoga, plates, dance and movement therapists as well as Physiotherapists, Osteopaths, Chiropractors and sports coaches.